MEADOWS WEST! Immaculate 3 bedroom bungalow built in 2005. Living room with laminated hardwood floor, huge eat-in kitchen with patio doors, 3 spacious bedrooms and full bathroom on main level. Master bedroom with 3 pc ensuite. Full insulated basement ready for further development. 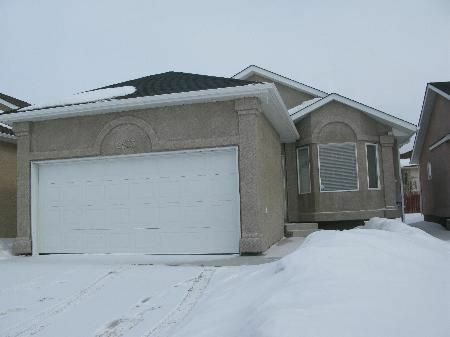 There is a double attached garage with front drive access. Priced for quick sale!! !